LAKE CHARLES, La. 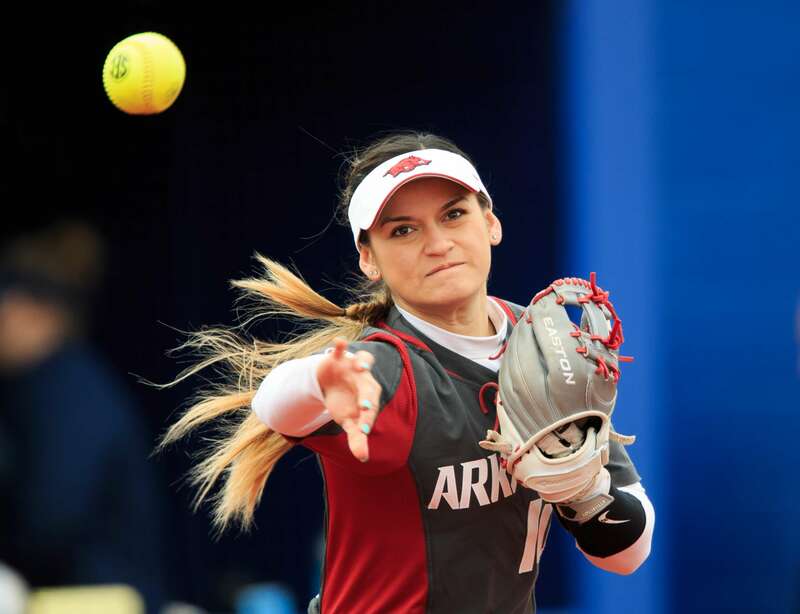 – The University of Arkansas softball team closed out a successful weekend in the Pelican State with a six-inning 8-0 win over Campbell on Sunday (Feb. 10). Sophomore Mary Haff pitched her third complete game of the season and recorded 13 strikeouts in the win, tying her career record. Through 20 innings in the circle, Haff has allowed only four hits and not a single run. Both the Hogs and the Camels would enter the second inning scoreless, but it didn’t take long for Arkansas to put runners on base, as Kayla Green took a full-count walk to reach first. With two outs on the board and a Hog on first, Senior Haydi Bugarin took things into her own hands as she unloaded on a 2-1 count and sent it soaring over the center field wall. The homer is Bugarin’s first of the season and the eighth of her career. Ryan Jackson made contact off Campbell’s pitch and sent it roaring down the right-field line, scoring Gibson and giving the Razorbacks a three-run lead headed into the fourth. Campbell would call for a defensive change on the rubber, but no sweat off McEwen’s back, as she stepped up and skipped a speedy hit through the middle and scored Bugarin.